Question: Where is the event located? 1 Robert S Smith Dr. Question: How much does it cost to attend the conference? Please review the pricing options for individuals here. Please review the pricing options for sponsors here. Question: What is included in the registration fees? A full day of presentations, luncheon, and refreshment breaks. Question: I want to be a sponsor. How do I register as one? To view our Sponsorships, please view the Sponsorship page here. You can also register online here. 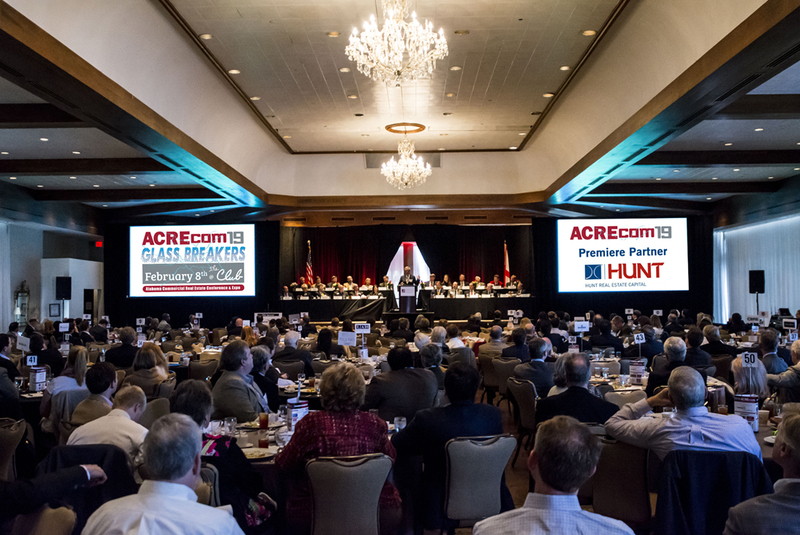 Please reach out to ACRE Events Sponsorship Coordinator, Ruwena Healy, at acreevents@culverhouse.ua.edu if you have any other questions or concerns. Question: What time will ACREcom start and end? Check-in will begin at 7:30 a.m. on Friday, February 8, 2019. Sessions are from 8:15 a.m. to 4:30 p.m. with four networking breaks and lunch, featuring a keynote presentation. For more information on individual sessions, please review our Agenda. Question: What is the theme for 2019? Answer: We have been talking a lot these past few years about disruption but it is no longer about disruption but transformation at every level. The old models have been shattered including the compositions of leadership. Question: Something has come up and I cannot attend the conference. Can someone attend in my place? Question: I cannot attend the conference. Can I get a refund? Question: Will you be submitting Continuing Education credit for Real Estate? ACREcom has been approved for a total of six hours of Real Estate Continuing Education credit. In order to receive the full 6 hours you must stay the entire day. The morning portion of the conference is 3 hours of Continuing Education credit and the afternoon portion of the conference is 3 hours of Continuing Education credit. Question: Will you be submitting Continuing Education Credit for Accountants? ACREcom has been approved for a total of six hours of CPE credit, including 1 hour of behavioral credit and 5 hours of business related CPE. In order to receive the full 6 hours you must stay the entire day and after the conference a certificate of completion will be sent out. Question: Will you be submitting Continuing Education credit for Lawyers? Answer: We will be submitting for Continuing Education credit and will post online when it is approved. Question: Will you be submitting Continuing Education credit for Appraisers? Individual appraisers can request individual approval for continuing education credit. Please visit our website at www.reab.state.al.us under Education/New Education Option to submit an individual request. Question: Do you have any hotel discounts available? Yes we have a special rate at the Hilton Garden Inn. You can book online here to receive the discounted room rate. You can also call the hotel and use the group code "ACRE" to receive the discount. You must book by January 16, 2019 to receive the discounted rate. Question: Where/when is the Networking Reception? The Networking Reception will be held at Retail Strategies Office from 5-7pm on February 8, 2019. Enjoy complimentary beer/wine and light appetizers while networking with Alabama's CRE industry!